BrightCorps is our amazing team of men and women who are committed to helping our wonderful adults be all they can be. Learn how you can help. Our adults live with developmental disabilities each and every day. Make a difference in their lives through a financial gift. Every person can learn...and every person can work. Learn how BrightStone identifies and encourages the strengths and abilities of our adults. If you are interested in being part of a best-in-class program, please visit our Careers page to view current job openings. BrightStone provides a comprehensive work, social support, and future residential community for adults with special needs, expanding their potential and helping them to develop mentally, physically, socially, emotionally, and spiritually. These words barely touch the heart of what BrightStone truly is as we seek to meet the needs of every individual, created in God’s image, who deserve the opportunity to work and live in a safe and fulfilling place. We hope you will enjoy learning about our program for these very special people as you visit this website. More than just a place to work, BrightStone is life empowering, life changing, and life saving, and we are blessed to serve families in middle Tennessee. Please enjoy the BrightStone feature on Tennessee Crossroads, a widely acclaimed PBS television show. 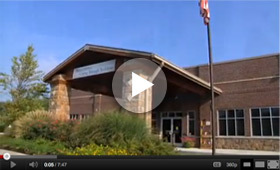 Watch the video below to see our vision for BrightStone's future. ...where lives are changed, hope is renewed, safe care is assured, and love abounds!